I can't Play MP4 video on quicktime , Please Help !! I have a few MP4 video files I need to convert to MOV files. Can I convert mp4 files to mov files in Quicktime? Is there another way I can convert the files? QT claims to support MP4 but nit-picks over its codec (MPEG-4 only). In other words, If your MP4 files are encoded with H.264/MPEG-4 AVC or MPEG-4 Part 2, there will be involving MP4 to MOV conversion for use in Mac's QuickTime. Perhaps the reason is a twice-told story among many Mac users but the need of a professional video converter for Mac continues unabated. Given this, we are here to provide a ranking of 2018 top MOV Converter for Mac, in particular with its converting speed being highly emphasized. The MOV to/from MP4 conversion can be done with no hindrance as much as you have a video converter. But result leaves much to be desired, especially regarding to speed. Your search will end with the advent of MacX Video Converter Pro because it is so far world's unique video converter for Mac that applies level-3 hardware acceleration tech to transcode videos on graphic cards with Intel QSV, Nvidia CUDA or NVENC or AMD app, while freeing up the CPU and GPU to be used for other tasks. No quality loss due to the high-quality engine. It supports batch converting video files at 36X real time faster speed. Convert videos (4K included) among MP4 MOV WMV AVCHD MKV MTS etc. One-stop shop for MP4 to iPhone, iPad, iPod, Samsung, HTC, PSP conversion. Crop/trim/merge/compress MP4 files and add srt/watermark to videos. Download YouTube MP4 video or other online videos with one step. MacX Video Converter Pro is well known for its simple navigation, satisfactory output quality and world's fastest speed. So you can complete any video processing within 3 simple steps, without taking too much time. Prior to the guideline, please free download, install and run the MOV converter on Mac. You can also check its Windows version on PC. Step 1: Click the Add Video to load MP4 file you need to convert. You can convert as many MP4 videos as you wish. Or simply drag and drop the MP4 videos into the window. 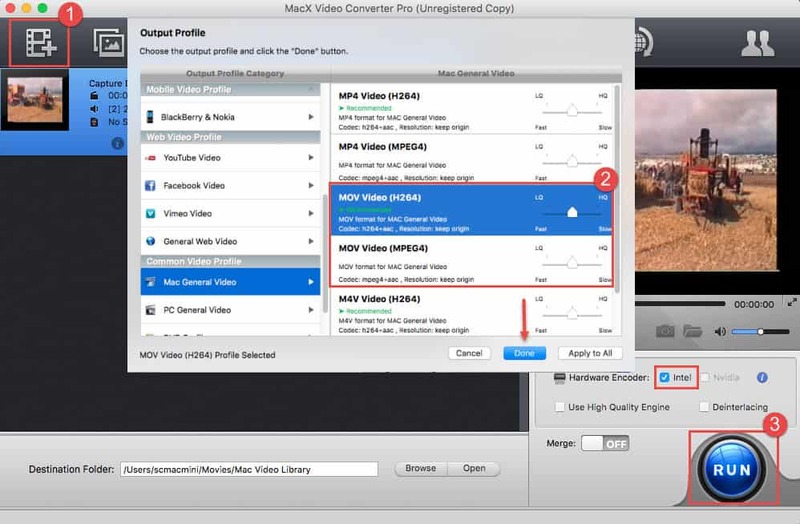 Step 2: Go to Mac General Video and choose MOV Video as output format from the output profile, for example, if you want to solve QuickTime won't play MP4 AVI issue. To be frank, it is infused with 420+ device profiles, which means you can directly convert MP4 to iPhone Xs, iPad Pro, Apple TV 4, or other popular devices by selecting the specific device name. Step 3: Click RUN button to start MP4 to MOV conversion on Mac. The same applies to convert MP4 to AVI, MP4 to FLV, MOV to MP4, MP4 to WebM, MP4 to MP3, MP4 to MPG, etc. Note: you are highly recommended to check the Intel box to enable hardware accelerating tech as it will speed up the video conversion. QT Pro is rather a media player than a video converter for Mac. According to its official page, it claims to convert your media to different formats optimized for iPhone iPod and Apple TV. 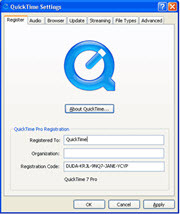 However, if you are tight budget, QuickTime Pro might be your last choice. Step 1: Double click the MP4 video on a Mac or drag and drop it into QuickTime Player. Step 2: Go to File -> Export… once the video is open. Step 3: To play on your Mac, it's recommended to use MOV from the drop down tab. Step 4: Click Options to tweak the audio and video settings. Tap save button, after a few minutes, the MP4 to MOV encoding will complete. 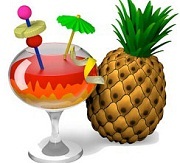 Handbrake is a world-known video transcoder for Mac, Windows and Linux. It is famous for its powerful video parameter settings such as subtitle support, picture deinterlacing, editing options, etc, despite it is somehow confusing many newbie. However, handbrake only exports videos in .mp4 and .mkv with somehow disappointing converting speed. If you need to convert MP4 to MOV on Mac or PC fast, you'd better turn to a handbrake alternative or directly convert MP4 to specific apple device. Here we take convert MP4 to iPhone with Handbrake. Step 1: Click the Source -> Open File from the dropdown choice and choose the mP4 video you need to convert. Step 2: For this operation, you cannot do any adjustments actually as there is no output format for MOV. But if you do want to convert MP4 for playing on iPhone or iPad, you can follow the tips below. Step 3: Go to Presets -> Options at the lower right side of the interface. Step 4: Click Import to select the preset files and choose the handbrake preset for iPhone, e.g. you can choose 720p preset for higher-quality file. Note: the customized Handbrake presets are only available for older iphone. For the latest iPhone 6s or 6, check the Handbrake iPhone presetting for detailed information. Users are generally prone to free program to do a job. If Handbrake is a little bit complicated for you, then you can turn to MacX Video Converter Free Edition for help. This is an ad-free MP4 converter mac that handles video conversion, e.g. MP4 to MOV, MKV to MP4, WMV to MOV, etc on Mac (macOS Mojave included) without taking up a lot time. Meanwhile, it features with some basic video editings such as trim, crop, merge, add subtitle/watermarks. You can personalize your videos before converting MP4 to MOV. Here is the step-by-step guide. Step 1: After you free download, install and run the MP4 to MOV converter on Mac OS, load the MP4 file by tapping the Add Video button on the main interface. Step 2: Go to the preset profile list -> choose MOV as the output format. tapping the "Browse" to save the output file. Step 4: Hit RUN button to start conversion on Mac with the free video converter. This article is a detailed guide about how to convert WMV to MOV on Mac OS X with a WMV to MOV Converter for Mac that seamlessly supports WMV format. This MP4 to FLV tutorial shows you top easy ways to fast convert MP4 to FLV on Mac/PC with the best or free MP4 to FLV converter for sharing on Facebook, Twitter and other online video sites. MacX Video Converter Pro is the best MP4 to MOV video converter for Mac with top quality and super fast speed. This feature-rich video converting software also can help you easily download HD or SD videos from YouTube, Vevo and more 1000+ sites.